The final modules to make are the wings and tail fin. 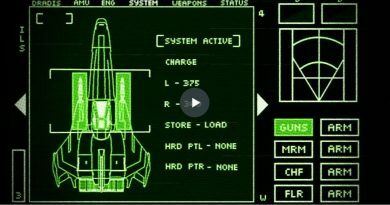 Once these are done, it’s then a matter of skinning the Viper and tweaking all the finishes. This weekend I got the plans printed life size on A0 paper, then traced the shapes onto plywood and started cutting. I’ve started to assemble the tail fin. Assembling tail wing. I’m using every available piece of scrap wood off the workshop floor and demolition leftovers from my pergola, which is slowly being pulled down around the Viper, as the Viper get’s bigger. I found an old tin of red paint and had a minute of fun. This will motivate me a bit. I have to round all the edges and corners, plus go over the lot with an orbital sander, but sometimes a splash of paint just helps me visualise the end goal a bit clearer. Took it all apart, refined the edges, sanded it all smooth, rounded all the corners. 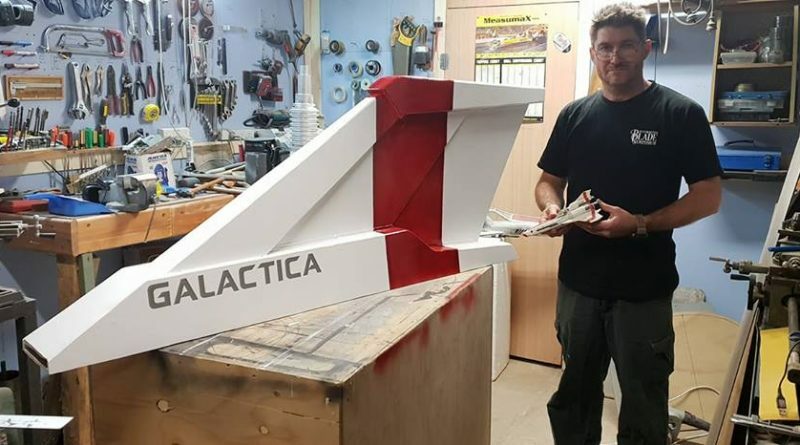 Reassembled, four coats of self priming paint then added the Battlestar designation and squadron colours. Viper Tail installed. I had to widen the slot on top of the top engine nacelle slightly to fit the tail wing in, but once done, (pretty simple) it went straight in. 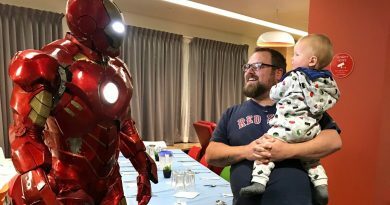 Iron Man visits sick kids at Ronald McDonald House.